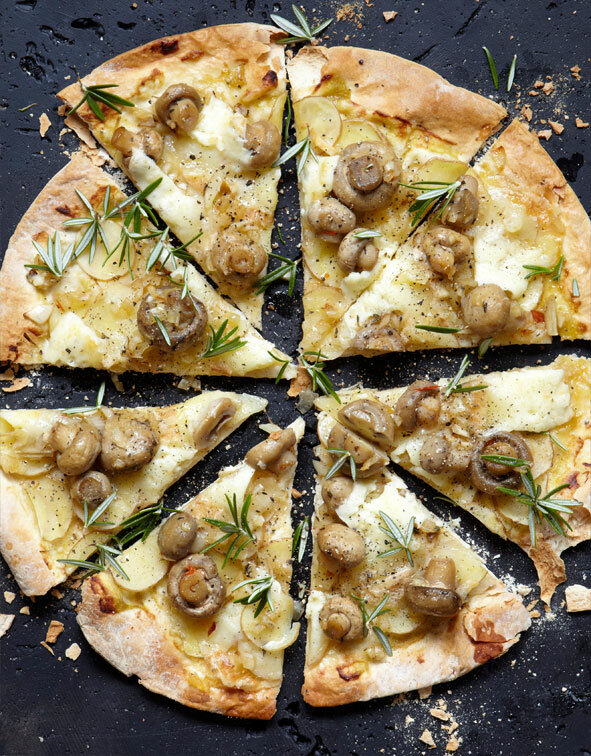 Our mushroom, potato and teleggio pizza is a mouthwatering vegetarian pizza with the crunch of Pronto Mama Marinated Mushrooms. Roll the dough into thin circle, and then place it on a baking sheet. Brush the base with olive oil. Layer the slices of potato on top, along with the mushrooms and tellegio cheese. Sprinkle with half the thyme and Maldon salt. Bake for 15-20 minutes or until dough is golden brown and potatoes are cooked. Add the rest of the thyme and serve hot.